As one of the busy Arab gulf state members it receives many requests for the legalization of documents. Having the ability to legalize documents for use in Oman and Bahrain, as they have no embassy in Canada, makes it convenient for other reasons. If you are doing business in Kuwait you may want to find out more from the Kuwait Chamber of Commerce. Before being able to be legalized at the Kuwait Embassy most documents require authentication with Global Affairs Canada in Ottawa, if dealing with them directly it can take up to 25 business days. Using our service we can shorten this to as quickly as 1 day, backed by our service guarantee. Commercial documents may require extra steps before being able to be legalized, please consult with us on your specific documents. 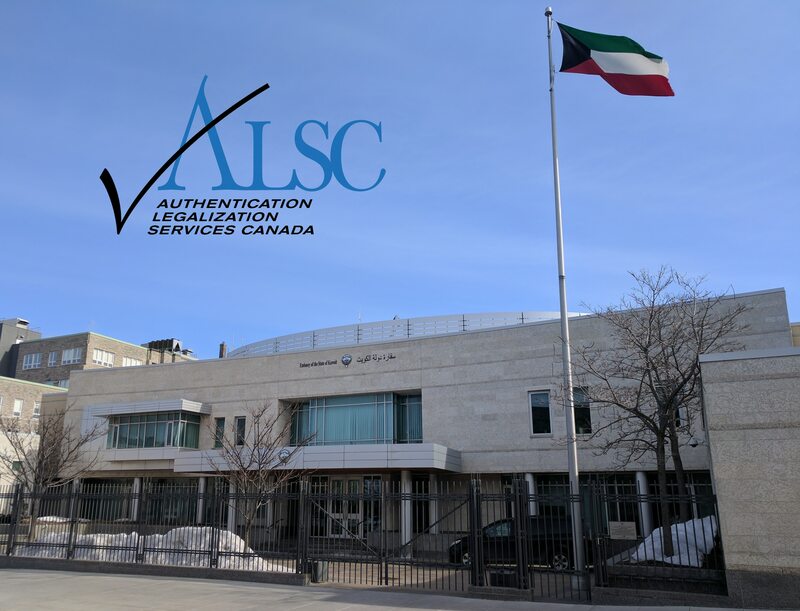 After we have had your document authenticated it is now ready for legalization at the Embassy of Kuwait in Ottawa. As part of our legalization service we will meet with the consular official in person on your behalf to ensure all is ready. 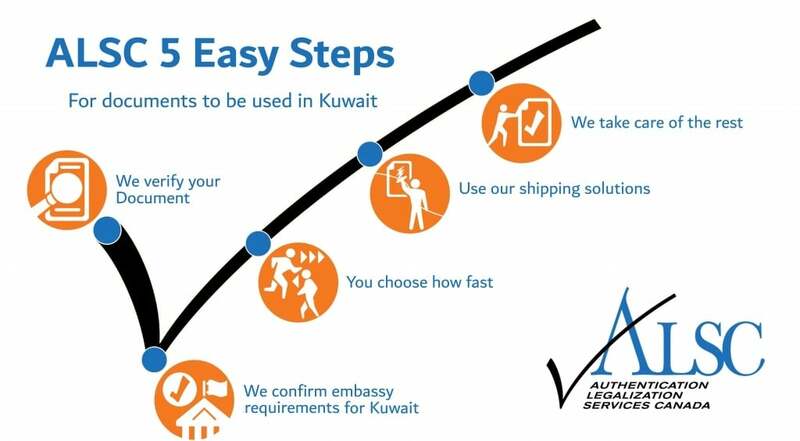 The embassy usually legalizes documents in 1-2 business days upon which we will attend at the embassy again for pick up and verification. Once satisfied all is retuned back to our office for shipping back to you or anywhere in the world you require, see our shipping made easy. If you need Authentication and Legalization or information about Attestation in Kuwait we can help.